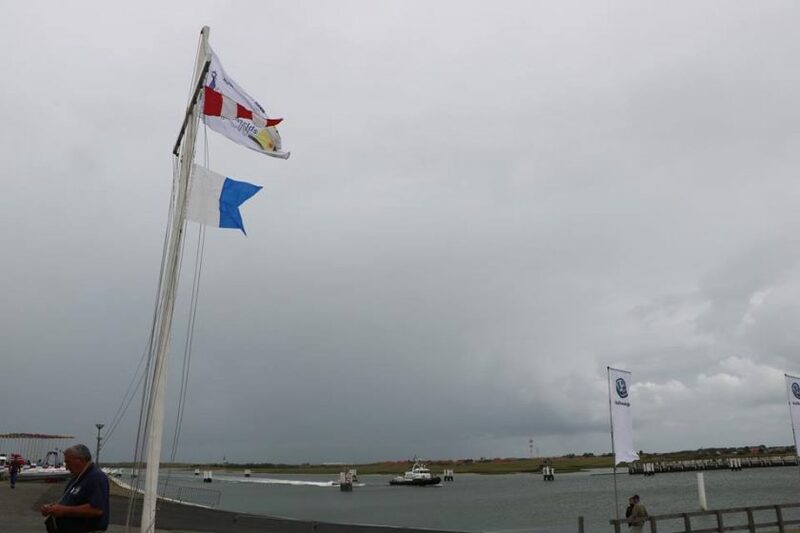 With a front scheduled to move through about the time sailors would be getting onto the course area to race, Principal Race Offer Peter van den Bossche evaluated the situation and made the decision to abandon racing for the day. Some sailors were perhaps disappointed. Many were relieved. The front arrived as anticipated, with a few early showers then clearing skies with Beaufort 7 conditions in the race areas. Perhaps a few more sailors were relieved to be ashore. Racing is expected to resume tomorrow with better conditions (we hope).